Thousands of people are admitted into rehab on a yearly basis, and as the availability of narcotic substances is becoming increasingly more common – these problems certainly look set to increase over the course of the next few years. For those that wish to overcome their addictions and go on to lead clean, sober lives there are typically two options. The first is to attend a recovery treatment center on an out-patient basis. The second is by attending a residential rehab. In the former instance, these services are typically offered to those that may be at a lesser risk of drug dependency. These individuals can be permitted to enter and leave a rehab at their own pace; keeping up with group therapy sessions and taking part in treatments as they wish. Where residential rehabs differ is in the way that they operate. Instead of allowing patients to come and go as they please – these facilities often require their residents to stay with them for a particular period of time. 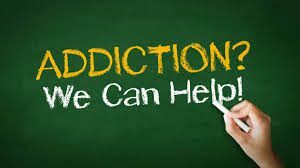 This time can vary depending on the severity of an addiction, but most patients will find themselves staying for at least three months. What can you expect during residential treatment in a rehab center? Most clinics or women’s retreat centres will operate in a similar way; with an admission process, an initial evaluation period, and a variety of treatments. When it comes to applying for admission, this will depend on how busy the rehab center is, and any specifications that they may expect from their clients. Once approved for admission, a date will be set for entry – and the patient will then be introduced to a dedicated therapist (or a team of them). This will be considered the initial evaluation period, and it can be ideal when identifying the severity of an addiction, as well as gauging the types of treatments that might be most effective. With a strategy in place, the patient will then be introduced to the treatments and therapies available to them – and these can range from group sessions and one on one counselling, right through to musical therapies and detoxing treatments. Throughout the treatments, a patient will be required to take part in counselling with their dedicated therapist as this can help to further tailor treatments, modify the way in which therapies are being given, or allow the medical personnel to better assist the drug addict in general.